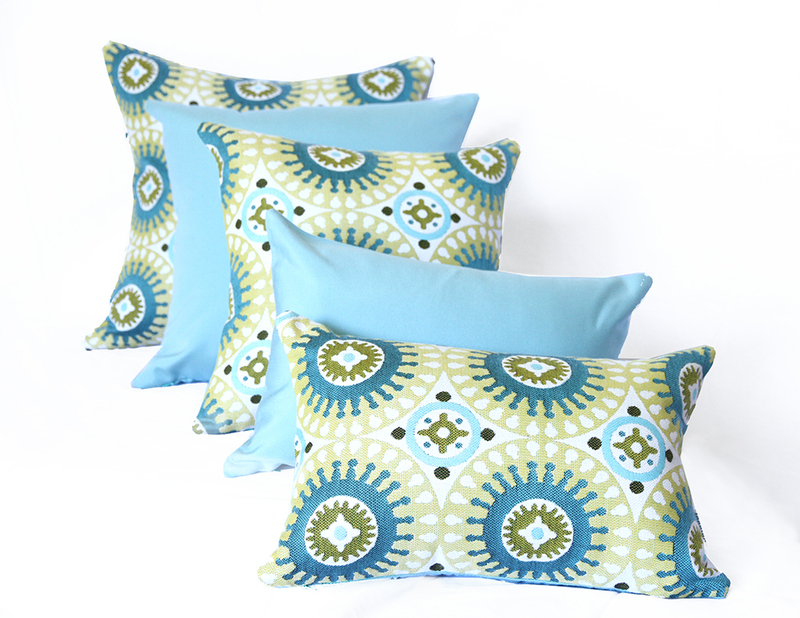 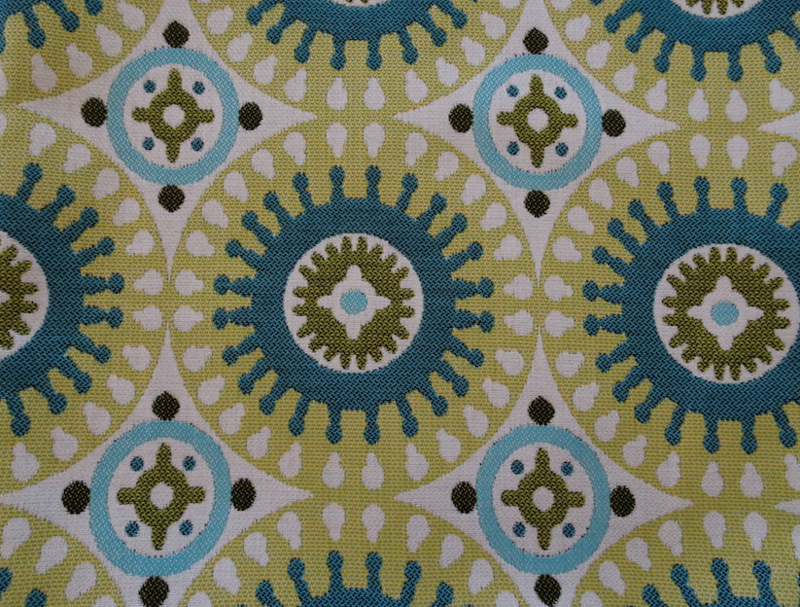 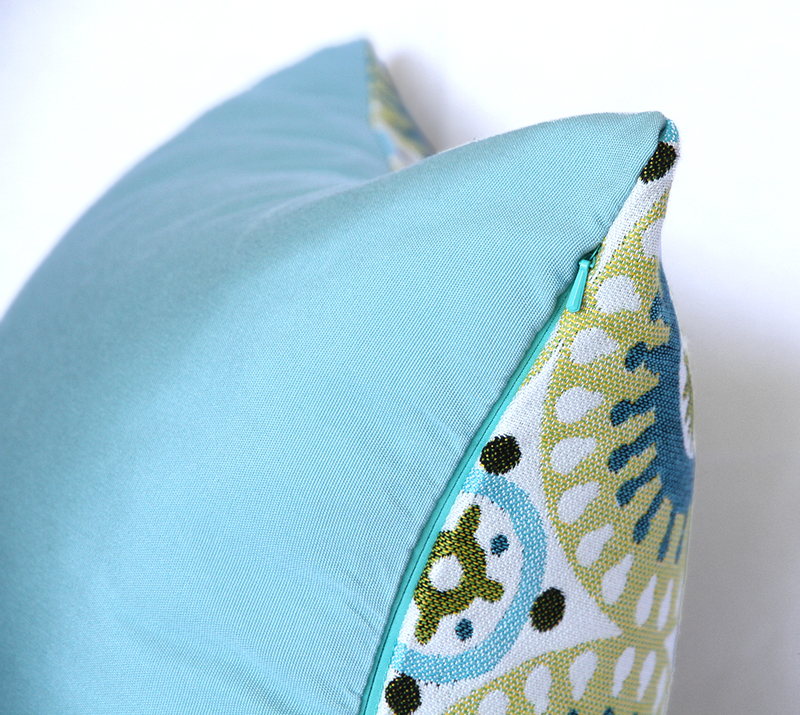 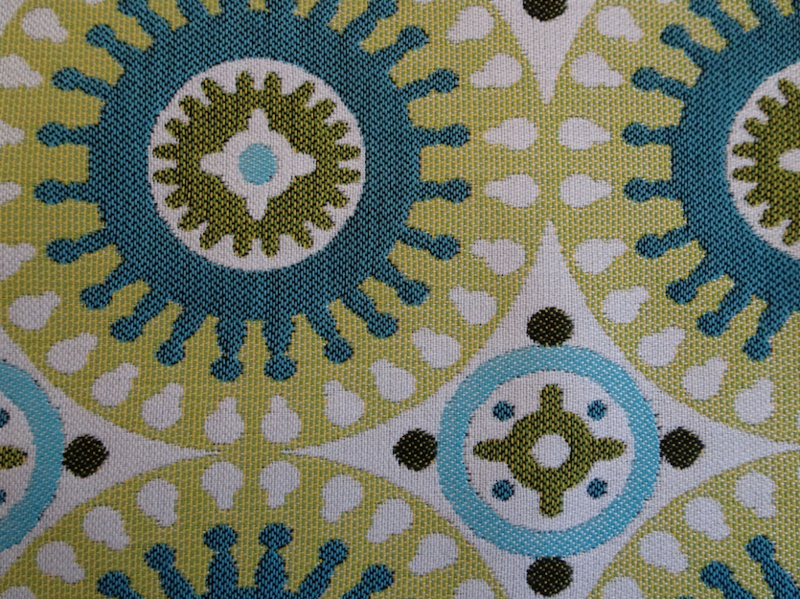 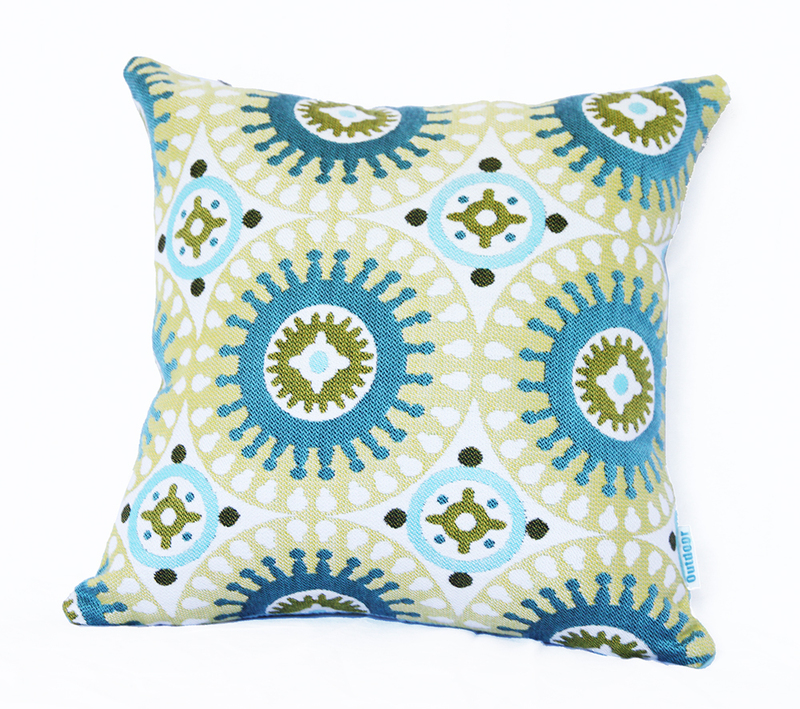 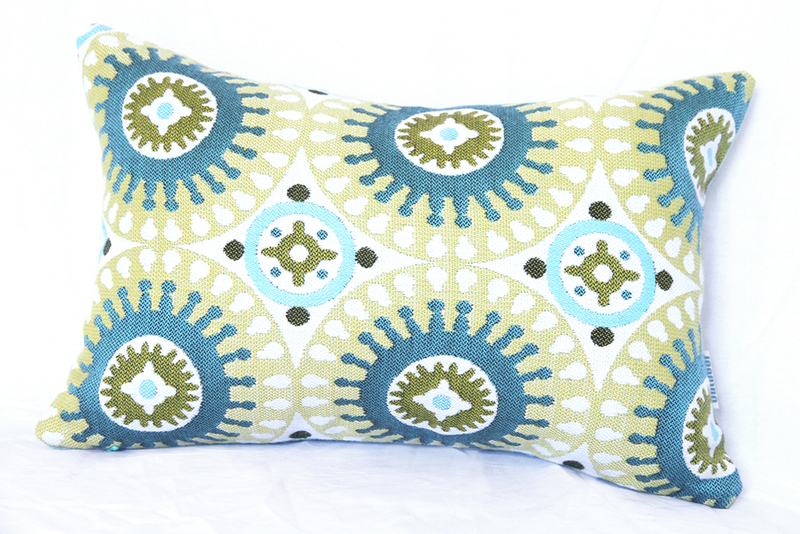 Moroccan inspired Teal and Lime Green circular patterned Sunbrella front with Aqua Blue Sunbrella canvas back. 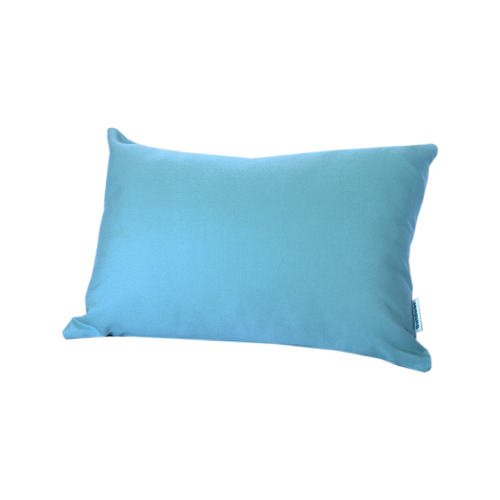 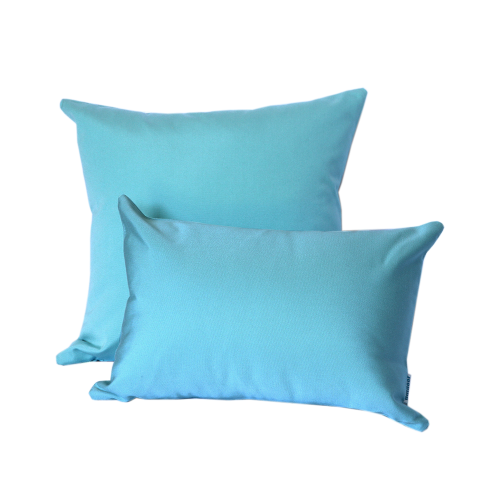 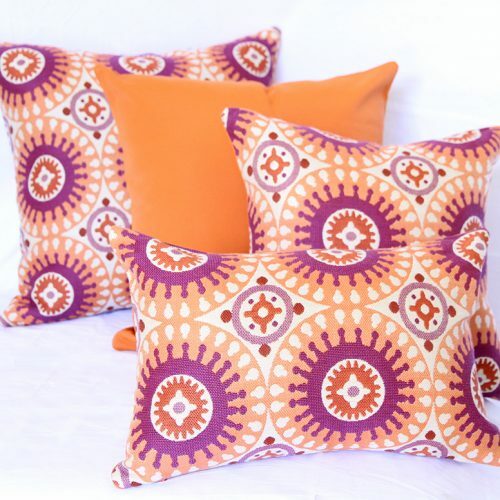 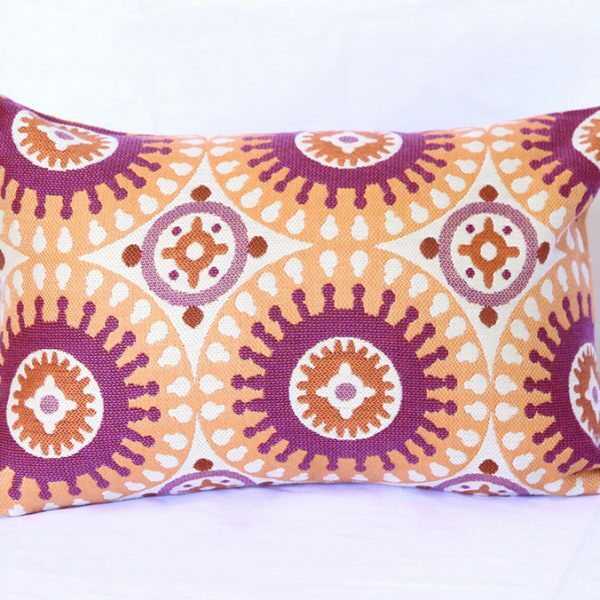 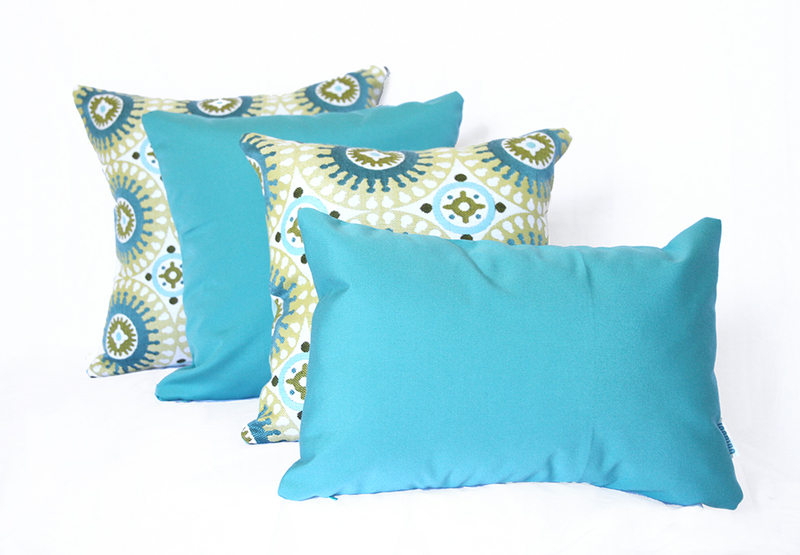 Please Note: 85cm x 85cm Floor Cushions are a custom order. 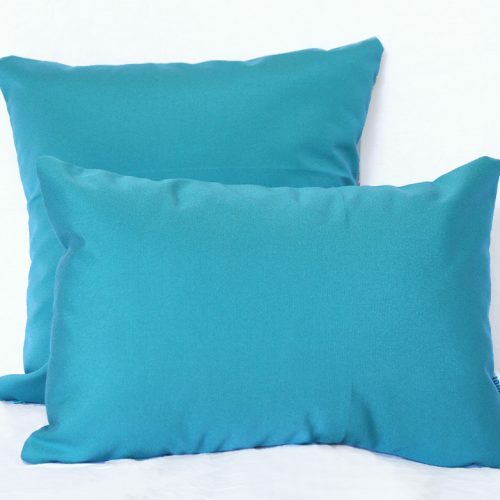 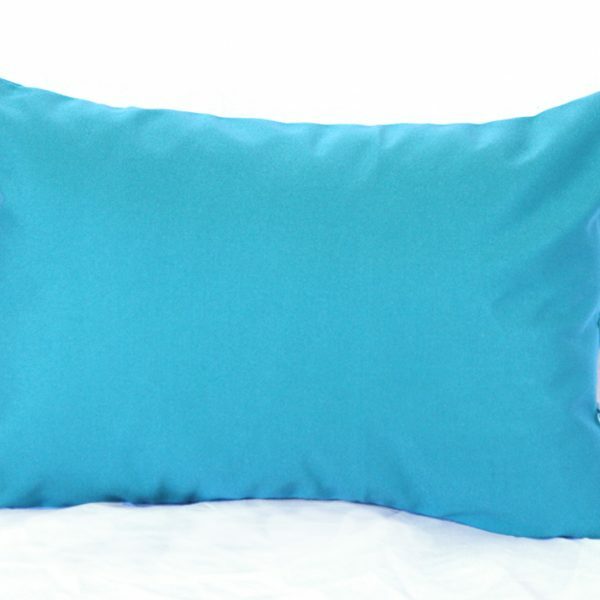 Please note we offer these with a Teal Canvas back instead of Aqua Blue back. 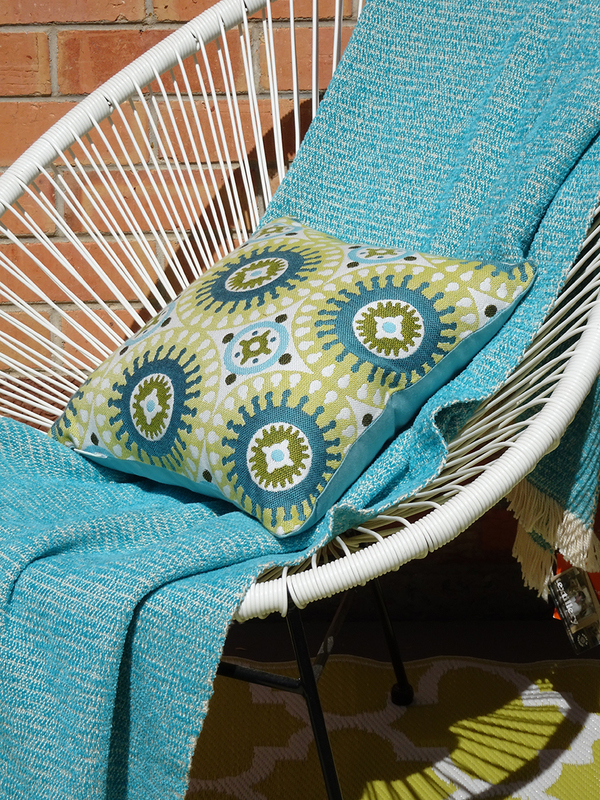 Please email hello@outdoorinteriors.com.au if you would like to purchase. 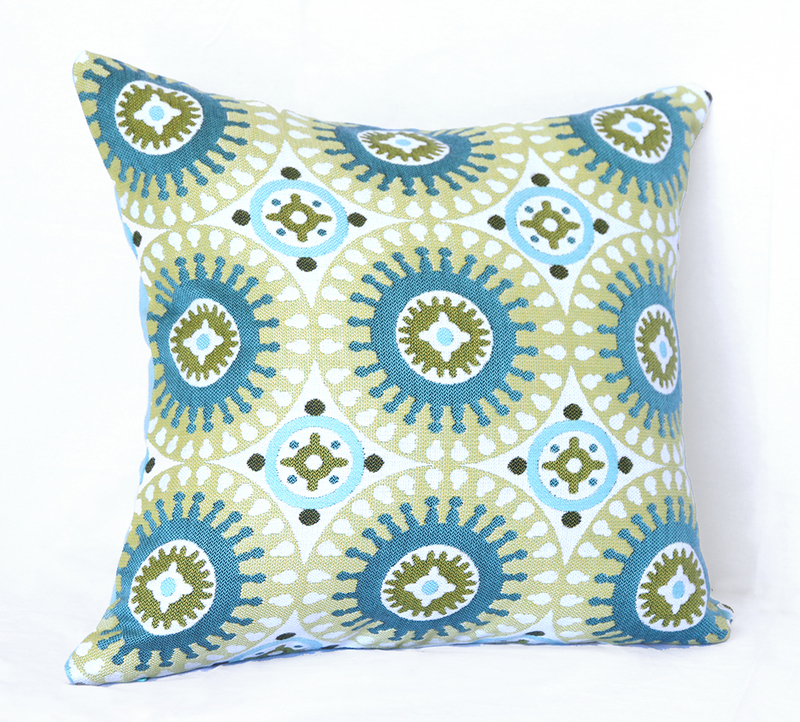 Marrakesh – Green – Moroccan inspired Teal and Lime Green circular patterned Sunbrella front with an Aqua Blue Sunbrella canvas back.